You must make reservations at least 5 minutes in advance of the time at IL Localino. Early in the evening, enjoy the sounds of Sinatra, Buble, Pavaratti and more. Then, as the evening progresses, Il Localino changes the mood to include disco, salsa, and current favorites. Don't be surprised if the music isn't the only surprise! Il Localino strives to make each dining experience unique and memorable. ll Localino is available for your catering needs. Please call Gale to discuss - 404-222-0650. 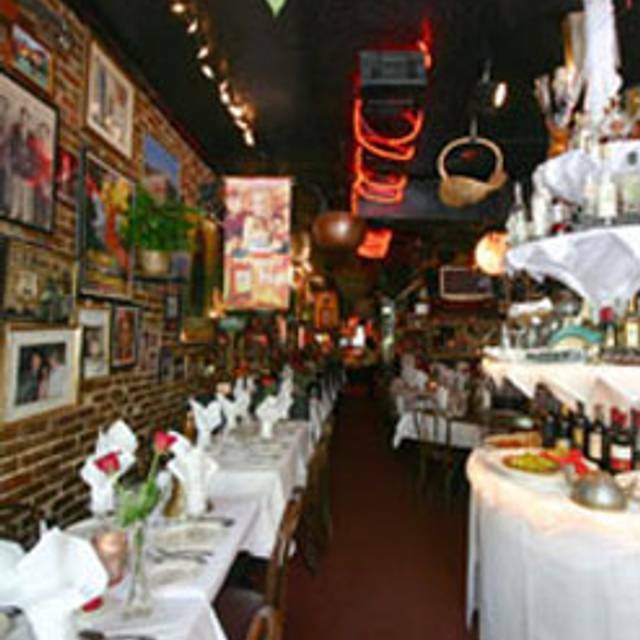 Il Localino is a charming family owned & operated, award winning Italian Restaurant located in Inman Park. 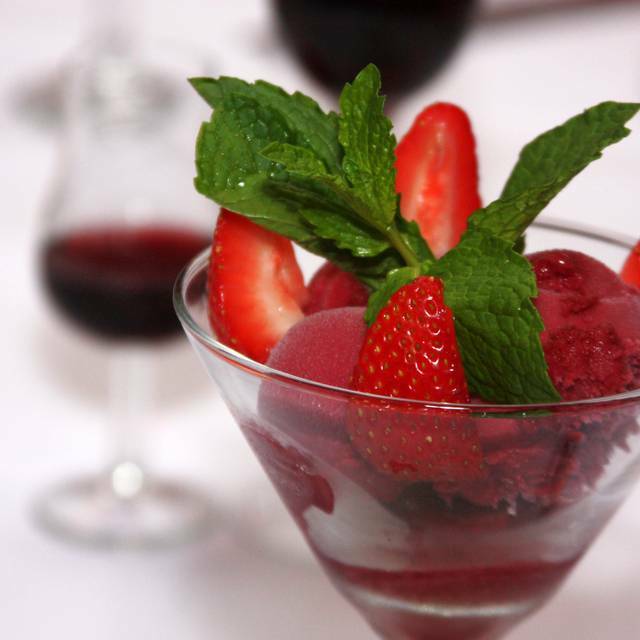 We serve the most delicious and authentic food in a fun atmosphere, with great wines and craft cocktails. 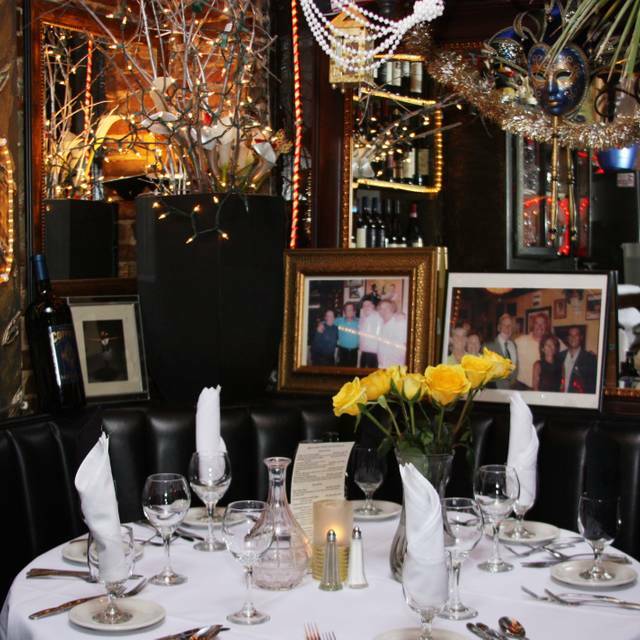 Il Localino is the perfect spot for a casual dinner or a major celebration! 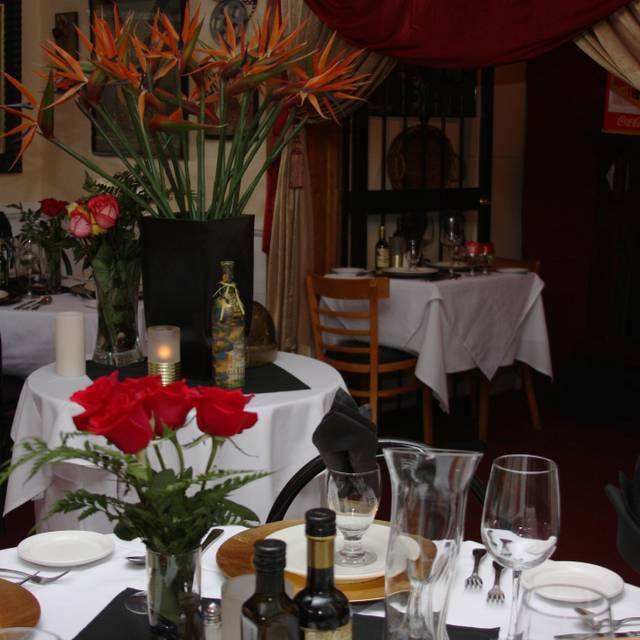 Whether you are looking for a romantic table for two, or a private party ... Il Localino will exceed all of your dining expectations! Pleasant aromas of lime blossom, guava, grapefruit and toasted fennel. A balanced wine, it is both crisp and complex, finishing with rich texture and a graceful minerality. Notes of lemon, pear, apriot and a hint of meringue while boasting creamy texture. This oak free Chardonnay bursts with bright aromas of flavors of cantaloupe, honeydew and pear. Powerful aromas of green apple, tangerine zest and honeysuckle while flavors of apricot, melon, pear and light vanilla are beautifully balanced by the sparkling acidity of citrus fruits. This wine has bright, cherry-like highlights, fruity with scents of rose, raspberry and Marasca cherry. A fresh and fruity rosé wine, but complex and elegant at the same time. Delicate bouquet, subtle complex flavors of white cherry, ripe apricot, pickled ginger with a fresh, spiced finish. This wine opens vibrantly with notes of dark berries and plum, clove and spices. It has bold and bright flavors of dried cherry, raspberry, violet balanced by hints of sweet vanilla and oak. Aromas of blackberry, raspberry jam, cocoa, toasty vanilla and licorice. Flavors of juicy Bing cherry, bright blueberry and pomegranate are enhanced by sweet oak notes and hints of butterscotch that add layers of richness to this elegant wine. Complex dark aromas of boysenberry jam, black licorice, cola and sweet spices, with additional nuances of incense from barrel aging. Fresh flavors of ripe blackberries, black cherries and a hint of pepper on the long finish. Rich and complex, aromas of cherry and ripe wild strawberry, combined with hints of wood smoke and toasted marshmallow from barrel aging. On the palate, juicy layers of brambleberry, black cherry and nectarine. The bouquet leaps from the glass with aromas of black berries, cocoa, vanilla bean and baking spices. Layers of full-bodied red and black fruit are highlighted with clove, spice, and toasty cedar notes. Aromas of red fruits and cassis are complemented by delicate hints of licorice, smoke, and caramel. Tobacco & candied cherry nose; red fruit palate with subtle tannin; medium finish. The fruit is deliciously ripe and smoky, with notes of marasca cherry, granite, and rhubarb compote.The finish is long and suitably dry, with admirable acidity that makes the palate taut and pleasing. A medium bodied wine with attractive bright red fruit, aromas with raspberry and cherry. This wine is well balanced with hints of toasted almonds and spice. This lovely ruby-red wine opens with dark wild berries and cherry, hints of candy and pleasant floral notes of lilac and chocolate. The spicy component emerges with nuances of clove and green peppercorn. This wine is a dark ruby red color It has intense and elegant aromas of ripe fruit, raisins, black cherries and plums with hints of cocoa, tobacco, and vanilla. Aromas of steeped cherries, ripe plums, and scorched earth. The lush palate doles out ripe black cherries, raspberry jam, licorice and a dash of black pepper while velvety tannins lend finesse. This wine is robust with evident notes of red flowers on the nose. The palate will enjoy significant acid and strong, long, earthy finish. 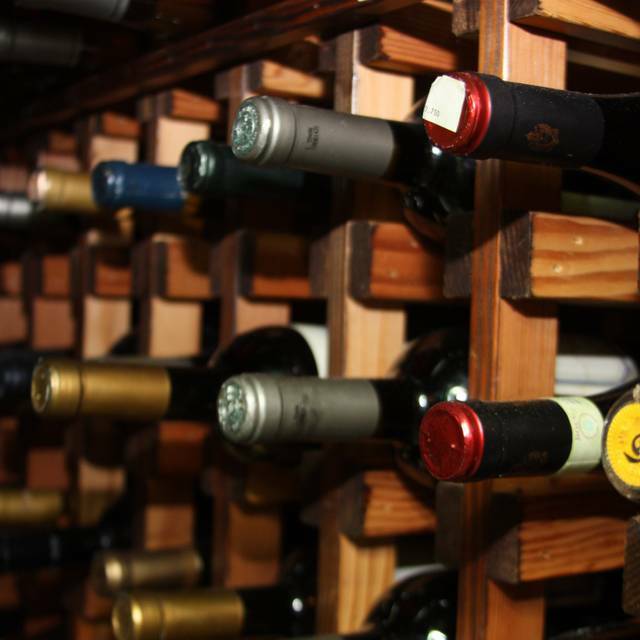 These wines collect well, although consult a specialist to get a hold of of the best vintages. Red fruit and spice aromas. The palate delivers cherry and raspberry flavors and a hint of white pepper. This Barbaresco is intense ruby red in color, has a complex aroma which mixes spice and rose with berries, and is smooth and persistent on the palate. This wonderful wine opens with aromas of wet earth and dark fruits with hints of lead pencil. It is full bodied, with chewy tannins and a flinty, fruity aftertaste. This is a blend of wines made in vineyards surrounding some of the best villages of Barolo. Aromas of scorched earth, Asian spice and mature black-skinned fruit lead the way. The straightforward palate offers dried black cherry, crushed anise, clove and grilled sage alongside loosely knit tannins. Aged 18 months in small back barrels, this elegant and lush merlot shows aromas of red plum, black cherry and soft spice. A juicy core of black cherry, blackberry liqueur, dried raspberry and anise are framed by earth-laden notes of cola bean, graphite and pipe tobacco. Hints of cocoa dust, cinnamon and ground espresso caress the finish. Loads of ripe cherry, red berry, butterscotch, and toffee in the nose with smoky wood right behind the fruit. Juicy raspberry and strawberry on the palate. This limited production Cabernet is supple and balanced with ripe flavors of blackberry and black cherry. With concentrated aromas of cassis, cherry, cedar, red rose petals & tobacco, this wine's complexity continues. Aromas of ripe cherries, red fruit and blood orange are intermingled with subtle notes of vanilla and butterscotch. The palate is supple and layered with vivid flavors of black cherry and raspberry. Notes of cranberry and juicy mulberry, followed by sarsaparilla and freshly-grated nutmeg. Bright, crisp acidity frames youthful flavors of pomegranate, red cherry and sandalwood with a hint of the classic Laetitia spice. This Michael Pozzan Carneros Pinot Noir is medium bodied with bright cherry notes and is backed with clove and star anise notes. This Pinot is slightly earthy, and finishes with generous vanilla and mocha notes. Aroma's of red fruit, fragrant violet and savory spices. Fresh and focused on the palate with concentrated flavors of red raspberry, cherry, currant. A blend of Carignan, Grenache, Mourvedre, and Syrah on the palate with delicious flavors of red and black fruits. This delicious robust wine displays juicy fruit flavors and finishes with a signature spicy zing. Aromas of blackberry and raspberry meld with clove and spice. Lush flavors of blackberry, cherry, licorice and vanilla flood the palate, followed by touches of pepper in the background. Aromas and flavors that include fresh and dried cherries and prunes, sweet spice, and hints of coffee and tobacco. Rich and concentrated, this wine reveals lush layers of blueberry, blackberry and sweet rhubarb. Hints of caramel. A Super Tuscan blend of Cabernet, Merlot, and Sangiovese, with aromas of bright cherry, cassis, sage and cocoa. A well balanced, crisp, fresh, very lively fruity wine showing hints of apples and fresh flowers on the palate and a very clean, medium lasting soft finish. The wine shows citrus and mineral aromas and flavors on a palate of medium body and bright acidity before a lengthy finish. This beautiful chardonnay displays intense aromas of baked apple, vanilla and toasted hazelnut, joining stone fruits and spicyoak on the long, creamy finish. The Jekel Gravelstone Chardonnay is defined by crisp acid and a mineral backbone. It's soft feel is accompanied by the harmonious flavors of cantaloupe, mandarin orange and vanilla. Brilliant shades of pale yellows and green. Aromas of nectarine, white peach, lime, and kiwi combine with expressive orange marmalade. This wine is fermented and aged in Grade 304 stainless steel - hence the name. The finished wine is crisp, fresh and texturally rich and complex. Vibrant ripe citrus, kaffir lime leaf, fresh coriander and hints of tropical guava. Brilliant pale yellow hues are speared with youthful hints of green, and the aromas are rich and expressive. Grapefruit, green lime, caper, and citrus tones all combine with a lively note of lychee. The flavors reflect a great intensity of grapefruit, lime and lemon zest, together with a subtle thread of fennel. The ample nose releases crisp-edged, complexfruit notes, and the palate is full-flavored with a crisp acidity. A wonderfully versatile sparkler. Crisp, clean, and delicate with intense sensations of apples and peaches drive a pleasant aftertaste. Brut Prestige opens with gorgeous layered white blossom aromas, followed by creamy vanilla, citrus, stone fruit and melon. With elegant acidity and crisp structure, this medium-bodied sparkling wine displays an excellent mousse and a rich, lingering finish. This Brut Rose displays fresh, fragrant strawberry jam and dark plum aromas. Creamy and impressively dense on the palate, its bright red fruit flavors pick up a pleasing dash of spice in the long, crisp finish. This champagne is exceptionally well balanced, fresh and lively, with light aromas of citrus fruits and spring flowers. This champagne brings its own exuberance to dry champagne's traditional elegance and finesse. This champagne from France is fresh and lively with spiraling bubbles, delicate bouquet, and subtle complex flavors of white cherry, ripe apricot, pickled ginger and mineral notes, with a fresh, spiced finish. Radiant aromas of bright yellow-fleshed fruits, honey, floral nuances and elegant blond notes. The palate is seductive, richly flavorful and smooth followed by a delicately fresh crispiness, to reveal the magical balance of Champagne. This is the first and only Champagne especially created to be enjoyed over ice. A new champagne that leaves you feeling fun, fresh and free remaining true to the Moet & Chandon style, is distinguished by its bright fruitiness. A champagne with sweet vanilla flavors, wrapped around nutty, oily flavors. Fruit is not the object here, it's more decadent, with unctuous, sweet lingering vanilla and Bourbon-barrel accents. A brisk, original and juicy wine which simultaneously offers blackberry, blackberry, pink grapefruit and blood orange notes. This structure and fruitiness is enriched with warm, spicy notes of pepper, tea and licorice. Tightly knit, focused by racy acidity and a streak of minerality, this offers subtle notes of white peach, anise, biscuit and kumquat. The refined finish echoes a smoky note. Items Are Subject To Availability. All Prices Are Subject To Change Without Notification. This was one of the finest restaurants I have ever had the pleasure of dinning in. My ONLY hesitation about recommending it highly is that I do not want everyone to learn about it ! I want it to stay, quiet, quaint and excellent ! I cannot say how much I have enjoyed dinning there. I have been there 3 or 4 times and will continue to visit as often as possible. With all that said, it is one of the best restaurants in the world. Great service and great food. The wait staff is outstanding. As always, the food & service was wonderful. I can not say enough about IL Localino if it is for a dinner with friends or a special birthday dinner, you can not go wrong. Always amazing! Love the family style ambiance and how friendly Mama Gayle and Staff are! We went to Il Localino for Easter Brunch for the first time. It was fantastic! We really enjoyed ourselves. We met the owner who is from Venice, Italy, and had a chance to taste a variety of the offerings. Each selection was delicious! I don't think you can go wrong with anything you order. 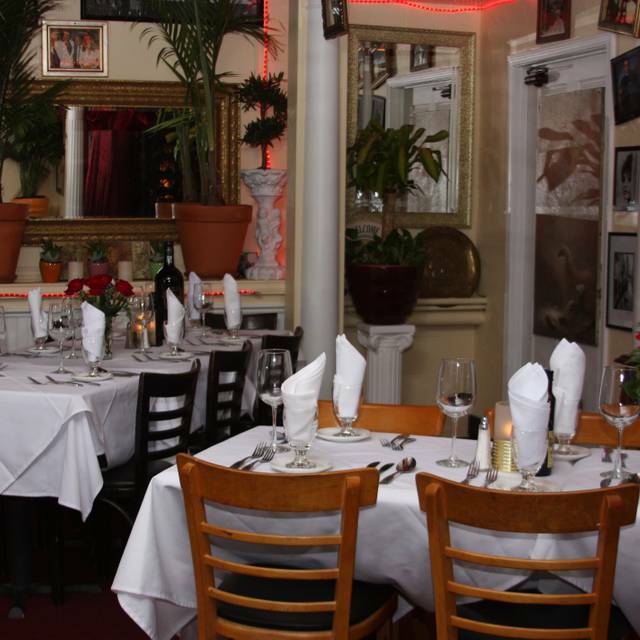 The restaurant has an intimate feel, even though it is much larger because there are several rooms that make up the entire restaurant. Always a pleasure sharing in breaking bread at Il. It’s simply the best experience. The food, the service, and the atmosphere are amazing. They did their usual great job on Easter Sunday. Excellent food and service. It made our day! The food was excellent and service attentive. Delicious Italian food in a charming little place. Service is amazing, as the owners make sure your are well taken care of. Will keep coming back! Great place to experience if you like Italian food the owner he will greet you at your table make you feel at home. Absolutely amazing experience. We were treated like royalty. We came for a birthday celebration and were so impressed with the service, the ambiance, and the food. Best sole I’ve ever had and the appetizers and desserts were superb. Great experience all around! Wonderful experience. Excellent service and very polite. I recommend to anyone who enjoys Italian dishes. I would recommend you book at least a day ahead. The service, food and ambiance was fabulous. One of my best Italian dinners in years!!! Birthday wonderful experience. Will go back soon! Female staff had issue with me requesting to box my food and got attitude. Funny... one of the guess at my table did not receive her lobster bisque and spinach after staff boxed food. They had to prepare those items again. Fun spot but a little pricey. Food was very good. It was highly recommended by some good friends so I decided to try for my birthday . I was not disappointed and everything was five star . Not a quiet date night spot. Definitely more of a lively, group-based environment. We had a 8:45 reservation. When we got there nobody welcomed us to the restaurant. We had to wait at the bar till our table was ready. Waiters were swamp with tables so the service was not good. The service started to get better when tables started to clear. I was a little disappointed this time and it’s no my first time there. 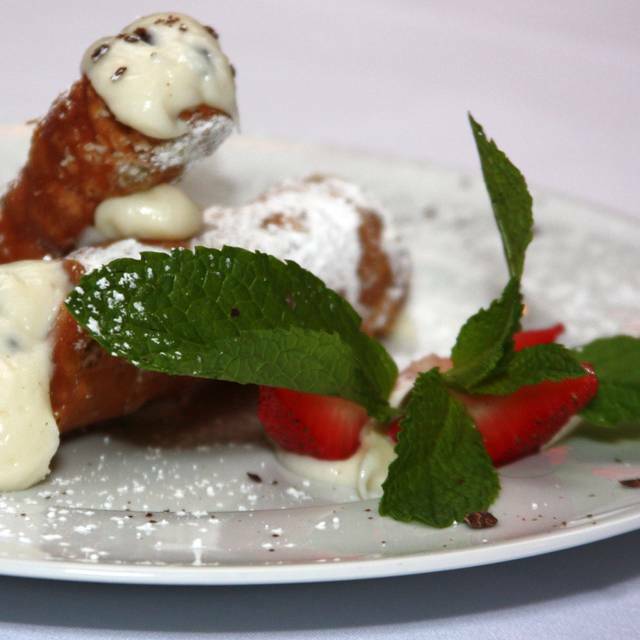 Il Localino is more than a traditional dining experience. Prepare yourself for an energetic environment, amazing food and staff that treat you like family. This is a must stop! 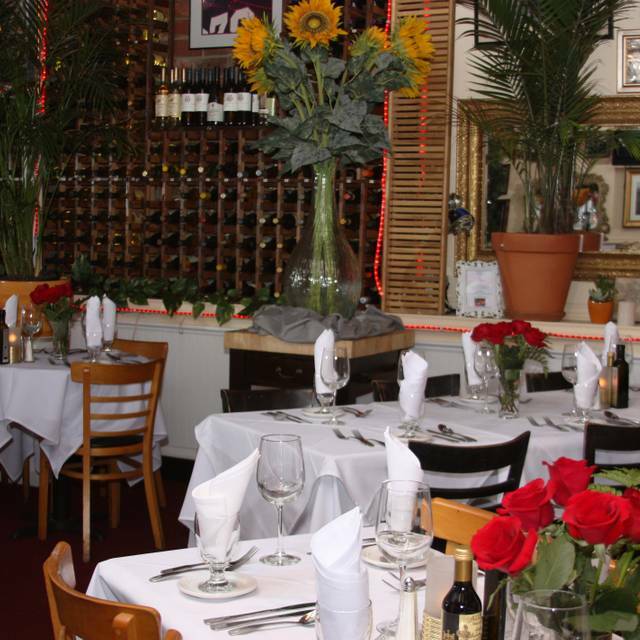 Our favorite Italian Restaurant & go to dining establishment for "special occasions". We celebrated our 38th Wedding Anniversary with a fantastic dinner. 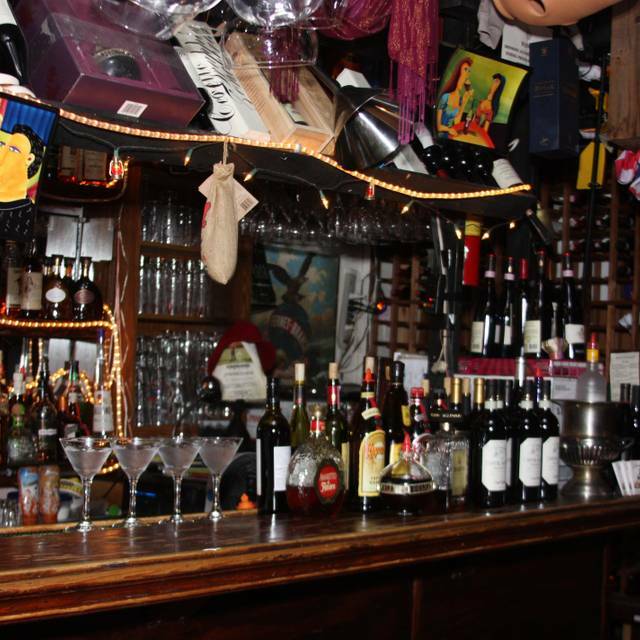 Gale and her staff continue to make this restaurant "THE" place to eat for Italian food...…..thanks Gale. This place is a hidden gem! We went for Inman Park restaurant week and we were surprised. We walked by the restaurant when we were living in Inman Park while our home was being remodeled/restored and peering in the windows like a child, we thought the place was too small and crowded. The menu was intriguing so we tried it and we LOVE it. The atmosphere is fun. The food is amazing. The restaurant is HUGE!!!!! The staff very friendly, thorough and knowledgeable. Mama Gail is a DOLL! So very wonderful and sweet. The food was prepared with love and served with care. Her wine and drink recommendations were spot on and she knows and loves the history of the restaurant. I can't say enough good things about Il Localino. By the way, Mama Gail - we LOVED the limoncello and especially the presentation. See you again soon! I went here for a birthday dinner, such a fun atmosphere and when the group went from 8 to 10, I called a few hours before our reservation and they accommodated. Very nice staff and delicious food! There is no doubt this is Atlanta’s #1 restaurant!!! The food is exquisite. The service is stellar. The party starts early every night!! Run don’t walk. You will not be sorry!!!! Amazing food - gracious service! Our host was so kind, and he really went out of his way to make my friends birthday special. I wish I remembered his name, he was from Ecuador and honestly made the entire experience for us! Parmigiana reggiano, Caprese, Warm crusty bread, Medallions of Filet Mignon, Veal Piccata, Sautéed Mushrooms, Cannoli, Expresso accompanied by a fine Montepulciano! What more could you ask?! All this plus friendly, considerate, attentive service made for a perfect evening. As on all our previous visits, we left feeling that this was our favorite restaurant in Atlanta . . . or Anywhere! Thank you Localino! IL Localino never disappoints. It's my 'go to' place to take friends and out of towners. The food is wonderful, the service attentive and the atmosphere is lively. I'll be back! The food and wine was excellent. It is a great date night restaurant. The waiters were attentive, I would definitely recommend them to a friend and return myself. Gale and the folks at Localinos turned a fun night into a perfect night. Spectacular service, great cocktails and wine and an unforgettable meal. This being our first time dining with some friends, we wanted Localinos to really shine. They really did and then some. We enjoyed our meal and stayed until the lights were about to be turned out - without ever feeling rushed. Love this place!! One of our party had to send dish back because it was cold. Had to get up and find servers twice to get drinks and more bread. Very poor experience..not planning on going back..sad because the atmosphere is nice. Each and every time we just can’t get enough. The food and the service was amazing as always. The lobster ravioli was incredible, and the vodka sauce is so good that it could just be served with some bread and my plate would be clean. It was a blast with a group of friends! Loud music, hats being passed around! Little pricey but we will definitely return! Food was great, and the experience was like being in Little Italy. Would highly recommend, and plan to come back. This is our 2nd year dining at Il Localino. What a treasure! I have nothing negative to say. We were treated like familia, and the food was made with love. Grazia Mille!